The West Was Never This Far West! 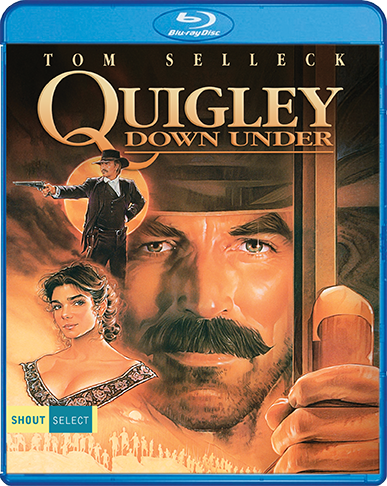 Tom Selleck, Laura San Giacomo, and Alan Rickman star in Quigley Down Under, a stylish take on the venerable Western genre from the director of Lonesome Dove. 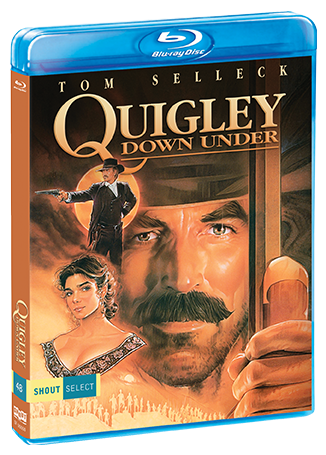 Arriving in Australia with nothing more than a saddle and his prized six-foot Sharps rifle, American sharpshooter Matthew Quigley (Selleck) thinks he's been hired to kill off wild dogs. But when he realizes that his mission is murder — to eradicate the Aborigines from the property of a wealthy cattle baron (Rickman) — Quigley refuses ... and quickly turns from hunter to hunted. Forced to wage a savage war against his former employer, Quigley proves that no one gets the best of a steely-eyed gunfighter — no one, that is, except the mysterious beauty (San Giacomo) who rides by his side ... and captures his heart.